It’s Valentine’s Day! A day you’re may or may not be dreading. While most of your friends are off to a romantic dinner date, you might stay home and think that this holiday is not for you. A lot of my friends have certainly told me this! Well, we’re here to change that! And not just for Valentine’s day. Just because your lifestyle is different than most people, it doesn’t mean that you have to give up the dating scene. Commit to living a balanced life. 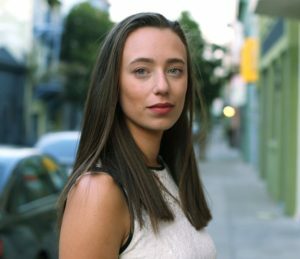 I’ve been balancing my life as a CEO of Mighty Well, being in a relationship for five years, and having chronic Lyme disease. It is extremely challenging, but I make it a point to live fully in these areas of my life. I plan ahead and make sure I have time with my boyfriend to go on dates. I have been fortunate enough to be with my boyfriend for five years, who just happens to be one of my Mighty Well co-founders. 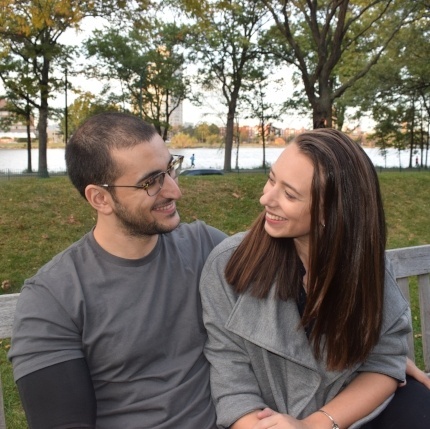 We started dating before we knew that I had Lyme and coinfections, and I am beyond thankful that he has stayed by my side even when I smelled like garlic for six months thanks to an all-natural Chinese Herbal therapy I was doing! If dating or being in a relationship is important to you, you have to commit to it. Make time for dates. Give yourself a chance to fall in love. Be open from the beginning about your illness. If you are looking for a serious relationship, then this person will have to accept your health conditions. However, if it’s just the first few dates, it’s okay to not discuss your medical device if you’re not comfortable. There’s really no hard and fast rule as to when you should let him or her know. The best thing to do is to trust your instinct. I found out about my diagnosis the summer before starting my sophomore year. Yousef and I had taken a break for the summer, and on the first day back at Babson we went out for iced cream. I sat him down and told him about my recent diagnosis. I told him that he could either be with me while I went through treatment, or he could move on (and I would totally understand). Thankfully, he decided that I was worth the hundreds of doctors appointments, days that I couldn’t do ‘normal’ college activities, get out of bed, freak accidents with my PICC line, and countless of laughs while watching Parks and Rec on the days I couldn’t get out of bed. If you have dietary restrictions, let the other person know early on because you don’t want to end up at a restaurant or bar that you can’t eat anything and then the other person feels bad that you can’t participate in the fun. I remember one time Yousef brought me to a new Ramen bar, and they didn’t have gluten free noodles. We only discovered this after waiting an hour for a seat! He felt so bad that there was nothing that I could eat. Always plan ahead and check the menu! It will be worth finding a place that you all can enjoy! Do you find yourself in situations where you have to explain to people why you’re not drinking? It can be quite frustrating! To avoid the frustration, it’s better to just skip the explanation and “fake” it instead. You’ll enjoy the moment more. And most likely, if you’re at a party and with new people, you won’t meet them again. What I do is order sparkling water in a wine glass with lime, or a club soda with cranberry to disguise it as a vodka soda with cranberry. Other times, I will bring a cool iced tea can that I find at Wholefoods and try to pass it off as a micro brew. My usual go to is Guayaki Yerba Mate because of the cool can and yummy taste + health benefits! Just be sure to pick an option with low sugar! It’s a win-win situation for everyone. You’ll enjoy your healthy drink, while the rest of the people will be less likely to overwhelm you with questions. Involve them every step of the way. When things start to get serious, have the person become more involved. I think only then they will really start to see the severity of your health condition. Don’t overwhelm them though. Start with something simple. A good way to go about it is to thoroughly explain your condition and treatment. Encourage them to ask questions. Give them options as to which area in your illness they want to know more. Do they want to go with you to your next doctor’s appointment? Yes, dating is hard, for everyone. And it can be ten times harder for spoonies like us. But it doesn’t mean that we don’t get to have fun! It’s all about finding the options that work for you and finding the right person that’s worth your time. What are the things you’ve learned about dating and being in a relationship? Join us for a more intimate conversation on our Friends in the Fight Facebook Group.